The lips and the area surrounding the mouth may show visible signs of aging over time. Fine lines, furrows, sagging and drooping corners of the mouth may produce an angry or sad appearance. There are a variety of non-surgical treatments that can refresh, rejuvenate and restore a more youthful appearance to the lips and mouth. Boca Raton oculoplastic surgeon Dr. Steven Fagien is an expert injector of BOTOX and dermal fillers and can help to reverse these concerns. The natural changes that occur within our skin over time contribute to the appearance of lines and wrinkles. As collagen production slows, elasticity declines and underlying facial fat begins to be depleted or begins to shift. Combine these factors with the effects of gravity and visible signs of aging such as wrinkles and sagging become apparent. A lifetime of smiling, frowning, pursing and other facial expressions can lead to etched lines as the skin’s collagen levels begin to decline with age. “Dynamic” motion-related wrinkles that become visible when the face is at rest can add years to one’s appearance and these repetitive movements eventually lead to permanent wrinkles, creases and furrows. Accumulated sun exposure takes a toll on the skin, and the lips and area around the mouth are no exception. Damage caused by daily sun exposure, sunbathing and tanning beds—even decades ago—contributes to wrinkling, discoloration and rough texture that result in an aging appearance. Poor diet, sun exposure, smoking and alcohol consumption all negatively affect the skin’s appearance. The nicotine in cigarettes causes blood vessels to constrict, in turn limiting the amount of oxygen and nutrients available to the skin, and ultimately accelerating the formation of wrinkles. These lines that look like “parentheses” running from the sides of the nose down to the corners of the mouth. These furrows become progressively deeper with age, as skin loses its elasticity and underlying fat layer declines. Treatment: Nasolabial folds are typically treated with injectable fillers. The filler can be placed directly in the folds, or placed in other areas such as under the cheekbones and along the jawline to help lift sagging skin. Dr. Steven Fagien will examine your face to determine the best injectable fillers to correct these areas. He uses only FDA approved fillers, including Juvederm, Restylane, Belotero, Radiesse and Sculptra Aesthetic, and often a combination of fillers for optimal lasting results. Thin lips can be an inherited trait and also the result of age-induced loss of collagen and deflation. Full, defined lips are a hallmark of youth, and replenishing lost volume can have a significant rejuvenating effect. Treatment: Fillers such as Juvéderm, Restylane and other hyaluronic acid gel products designed specifically for the lips are safe, effective and offer natural-looking results instantly. Referred to as lip lines or smoker’s lines, these thin vertical wrinkles radiate outward from the lips. These lines make the lips look pursed, and can cause lipstick to feather and bleed. Treatment: Injectable treatments for lip lines include BOTOX to prevent the muscle contractions that cause wrinkles, as well as dermal fillers to plump up the creases and smooth fine lines. In many cases, Dr. Fagien will use a combination of both injectable treatments to achieve the desired long lasting improvement. These are the vertical lines that stretch from the corners of your mouth down to the bottom of the chin. With age, these can become deep permanent grooves that resemble marionette puppets, hence their name. Marionette lines can create a sad or angry look even when the face is at rest. Treatment: Injectable treatments for marionette lines include BOTOX to relax the muscles that contribute to these furrows and fillers to plump up the deep creases. In many cases, Dr. Fagien will use a combination of both injectable treatments to achieve the desired long lasting improvement. The corners of your mouth can begin to droop with age and contribute to wrinkling. Similar to marionette lines, these changes can convey anger or sadness and add to an aging appearance. Treatment: Injectable treatments for a downturned mouth include BOTOX to relax the muscles and fillers to restore volume to the skin. In many cases, Dr. Fagien will use a combination of both injectable treatments to achieve the desired long lasting improvement. The non-invasive injectable treatments outlined above are the preferred option for lip augmentation and rejuvenation because they are safe and effective. Additional benefits include instant results (with hyaluronic acid fillers) and little to no recovery time. Designed specifically for the lips and surrounding skin, this hyaluronic acid filler enhances lip volume and softens lines around the mouth. Results are visible instantly and last from six to 12 months. Another hyaluronic acid filler designed specifically for the lips, Restylane Silk adds natural-looking volume and fills vertical lip lines around the mouth. This longer-lasting injectable filler provides instant results, as well as continued improvement over time thanks to its collagen-stimulating effect. Though best for moderate to severe wrinkles such as deep nasolabial folds and marionette lines, Radiesse can also add volume to lift the corners of the mouth. Results can last for one year or more. Yet another hyaluronic acid filler, Belotero Balance is ideal for filling in shallow lines around the mouth and enhancing the lips. Dysport, Botox Cosmetic and Xeomin are all toxin-based injectables that improve small wrinkles around the mouth and downturned corners by relaxing the underlying muscles and effectively improving vertical lip lines and other fine wrinkles around the mouth. Laser skin resurfacing is often recommended in conjunction with injectable treatments like Radiesse and Juvéderm. These light-based treatments remove the outermost layer of skin to reveal fresh, younger-looking skin. Lasers also stimulate the skin to produce more collagen, which leads to tighter, smoother skin and improvement in tone and texture after treatment. If you are considering treatment to improve the appearance of lip lines and other signs of aging around the mouth, the next step is finding a physician with the expertise and artistic eye necessary for optimal results. 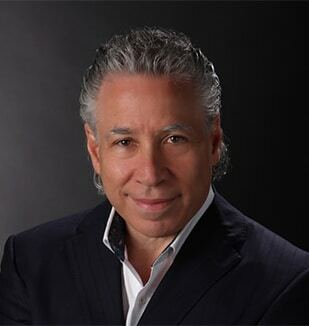 Dr. Steven Fagien is one of the foremost oculoplastic surgeons in the United States and he has built his reputation on challenging traditional techniques and developing cutting-edge advances for a variety of procedures. In addition to participating in many of the clinical studies that led to the FDA approval of various injectables, Dr. Fagien has authored over 300 publications, penned his own bestselling textbook on Cosmetic Oculoplastic Surgery, and has given more than 1,000 lectures about his techniques to surgeons around the globe. To learn more about procedures and treatments that improve the appearance of the lips and mouth, schedule a consultation with Dr. Steven Fagien at 561.393.9898.